In this project, we have developed three algorithms for computing the response function of a camera from a set of images of a scene taken under different exposures. Our first algorithm (RASCAL) uses a low-order polynomial model for the camera response and can determine the response function without precise estimates for the exposure values used. We have also studied the space of camera response functions. We collected a very large database (DORF) of response functions of real-world imaging systems. 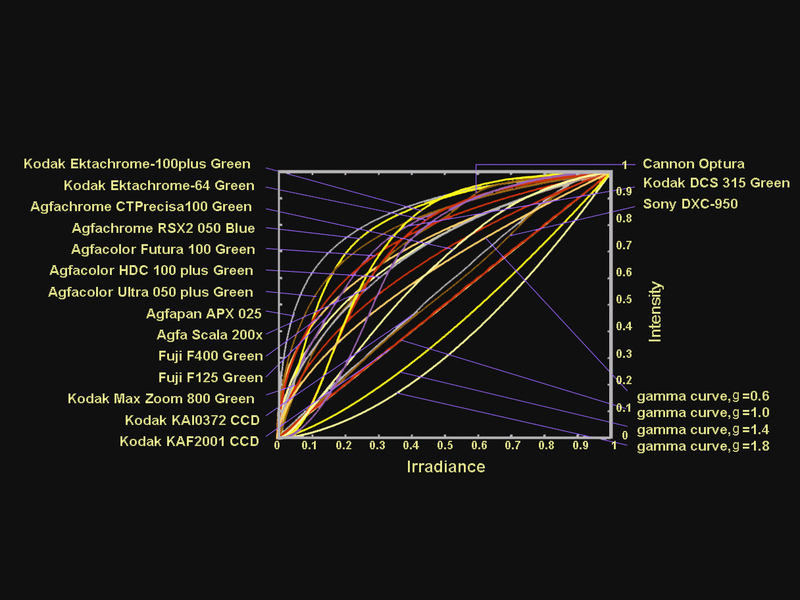 After studying the redundancies within this database, we proposed an empirical linear model for camera response (EMOR). This model is computed from the DORF database and, with as few as 4 coefficients, is able accurately represent a very wide range of response functions encountered in practice. We have used this model to develop our second algorithm for computing response functions from images. The low dimensionality of the model enables the algorithm to estimate the response function of an imaging system from a sparse set of scene radiance values. The above algorithms assume that the scene is static and that the images of the scene captured under different exposures can be registered. In other words, they require correspondence between brightness values in the different images. Our third algorithm addresses the problem of dynamic scenes where the images cannot be registered. It turns out that, in situations where the distribution of scene radiances remains almost constant between images, we can recover the response function even from images with scene and camera motion that cannot be registered. This algorithm is based on the observation that the response function can be computed directly from just histograms of the images taken under different exposures rather than corresponding brightness values in the multiple images. The EMOR camera response model and DORF camera response database were developed with Michael Grossberg at CCNY. They have been licensed by Adobe for use in the Photoshop family of products. "Modeling the Space of Camera Response Functions,"
Vol. 26, No. 10, pp. 1272-1282, Oct. 2004. "Determining the Camera Response from Images: What is Knowable?,"
Vol. 25, No. 11, pp. 1455-1467, Nov. 2003. "What is the Space of Camera Response Functions?,"
Vol. II, pp. 602-609, Jun. 2003. 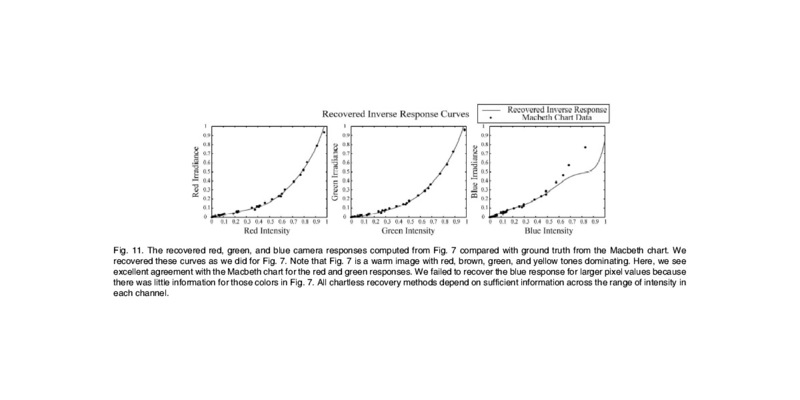 "What can be Known about the Radiometric Response Function from Images?,"
Vol. IV, pp. 189-205, May. 2002. "High Dynamic Range Imaging: Spatially Varying Pixel Exposures,"
Vol. 1, pp. 472-479, Jun. 2000. Vol. 1, pp. 374-380, Jun. 1999. 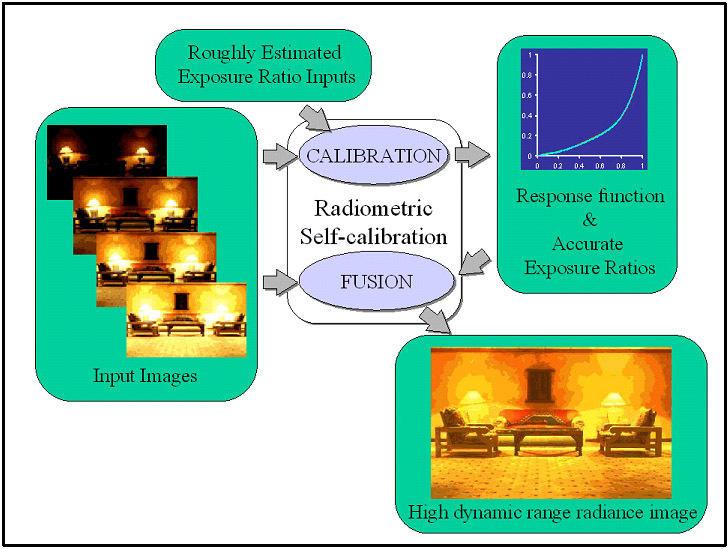 The RASCAL algorithm for radiometric self-calibration takes as input a set of images of a static scene taken under different exposures and rough estimates of the exposure values used, and computes the radiometric response function of the imaging system as well as high dynamic range image of the scene. 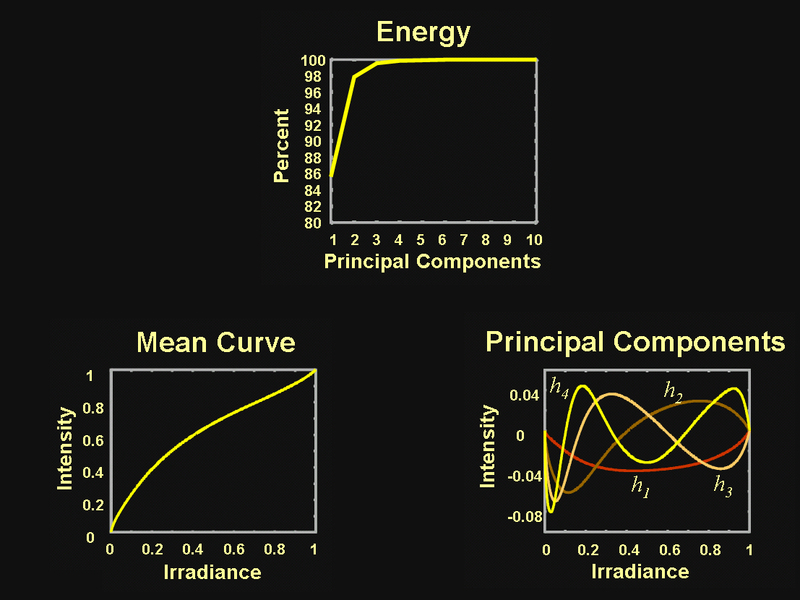 The DORF database includes the response curve for about 200 real world imaging systems. This picture shows some of the response functions in the database. The imaging systems include film cameras, digital still cameras and digital video cameras. The EMOR camera response model is computed from the DORF database. It is a linear model for camera response where the basis of the model is computed using the real response function in the DORF database. This model can span a very large range of camera responses with only four parameters. In this example the person in the scene moves as the images of different exposures are captured. In this case, the images cannot be registered and hence traditional registration-based approaches for computing the response function cannot be used. The above unregistered image sequence is used to compute the response functions of the three color channels of the camera using the proposed histogram mapping method. The computed responses are compared with ground truth response data obtained using a Macbeth Chart. In this sequence the camera moves around the scene (the vase) of which the images with different exposures are captured. Again, registration is impossible to achieve in this case. The response functions for the three color channels of the camera are computed from the above image sequence. Again, the responses are accurately recovered except for the blue channel for which the image sequence does not have sufficient data.